"COMPETE EVERY DAY WITH EXCELLENCE"
Show us YOUR game! Visit the University of Utah and join Head Coach, Brian Holman, Assistants Adam Ghitelman, Marcus Holman, Will Manny, Tim McDermott and Utes players for top level lacrosse instruction, game play and campus visit. Learn to play the UTAH WAY…HARD, FAST, SMART, TOGETHER! Each player will have the opportunity to showcase his skills while coaches are teaching and evaluating their ability. Learn about the recruiting process and what it takes to become a UTE! Parents are welcome and encouraged to attend. Coach Holman will meet with parents at the beginning of event for a Q & A session about the college lacrosse recruiting process, academics and what it takes to be a Division 1 athlete. This will begin after welcoming players and introducing coaching staff. (Approx. 2-2.5 hours) with the opportunity to speak to an admissions counselor after the tour. Clink the link to schedule your visit online thru the calendar. Calendars are updated on the 1st of the month prior to when you want to visit. There's so much to see while you are visiting the U! Check out additional ways to enhance your visit. Questions? Contact (801) 581-8761 or campusvisits@sa.utah.edu. 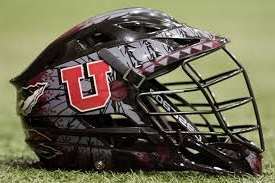 *Utes Lacrosse Camps are open to any and all entrants limited only by number, age, grade level and/or gender.